Plan Your Family Vacation to Mexico Beach! 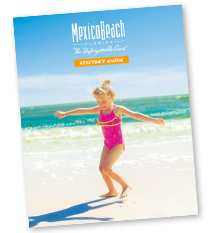 Mexico Beach was just named one of the Top 25 Best Family Beach Vacation Ideas in Florida by VacationIdea.com – Dream Vacation Magazine. Thank you, and we can’t wait to see all the families who come down and visit us this summer! 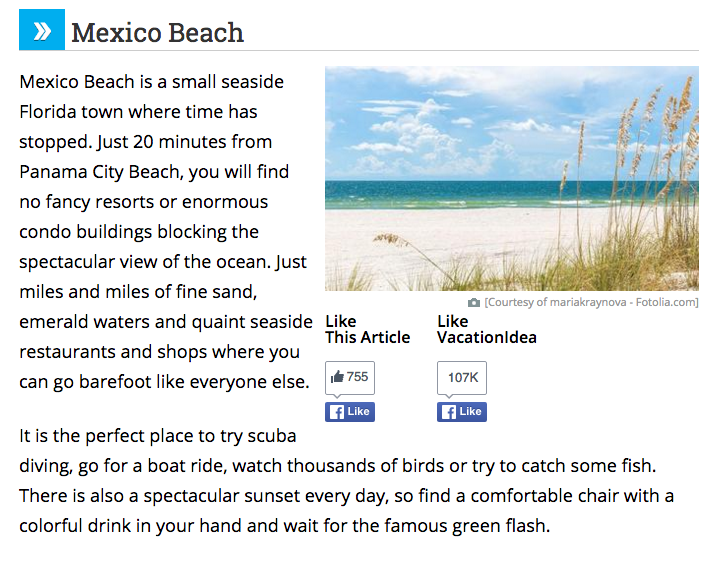 What makes Mexico Beach such a great family vacation destination? The Beach! Of course, our beautiful stretch of white-sand beaches are perfect for everyone to enjoy, especially the kids! Building sandcastles, playing in the waves, finding shells, fishing, and just good old family time is fun for all. Accommodations. Our affordable beach rentals are the perfect home-base for your family vacation. Find the perfect house on the beach or just steps away with plenty of room for everyone, your own kitchen and laundry facilities, no worries about parking, and close proximity to all the fun in Mexico Beach. Visit our Places to Stay page to find the perfect beach rental for your family trip! Fishing and Wildlife. Our experts at the Mexico Beach Marina can help you and the kids get all set with licensing and any equipment you might need for fishing on Mexico Beach, the canal, or the pier! 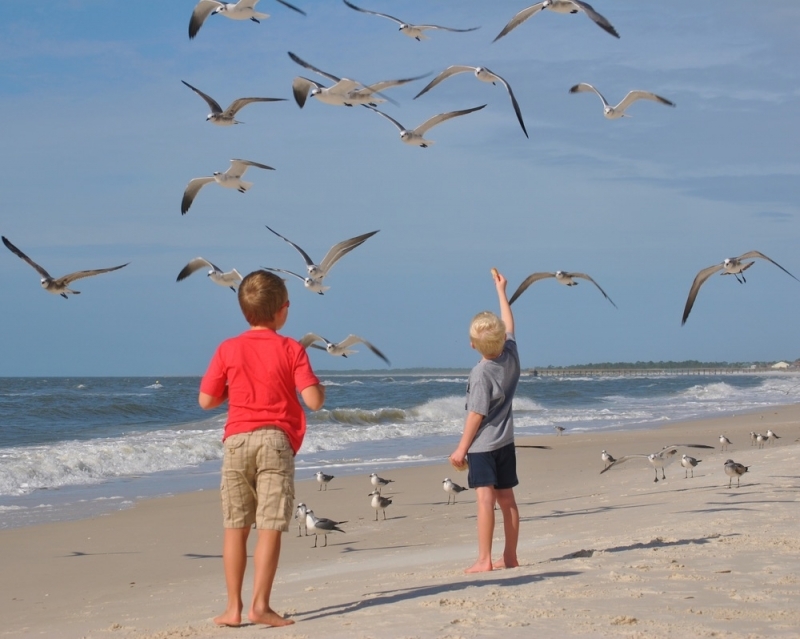 They’ll also have the opportunity to see all the wildlife in Mexico Beach and the surrounding areas and parks, including seagulls and pelicans, bald eagles, sea turtles, manatees, dolphins, crabs, and much more! And don’t forget about our License-Free Fishing Days! 2016 dates are June 4 & 5, September 3, and November 26. Family-Friendly Restaurants. All our locally owned and operated eateries in Mexico Beach welcome you and your family! Enjoy fresh seafood, pizza, sweet treats, sandwiches, and more! See all options on our Dining page. The Memories. We’re called The Unforgettable Coast for a reason, and we absolutely love seeing all the wonderful families who come stay in Mexico Beach come back year after year! We’re all family here in this quiet little beach town. Take photos by the Gulf of Mexico, enjoy family dinners in your beach house or one of our many restaurants, explore the outdoors together, and pick out those perfect souvenirs to take back home with you. Mexico Beach is a tradition you’ll want to share with generations to come. So, are you ready to plan your next family vacation on the Unforgettable Coast? Click here to request your free Visitor’s Guide or give us a call at (888) 723-2546.